The latest Illustration Friday word is "ahead". 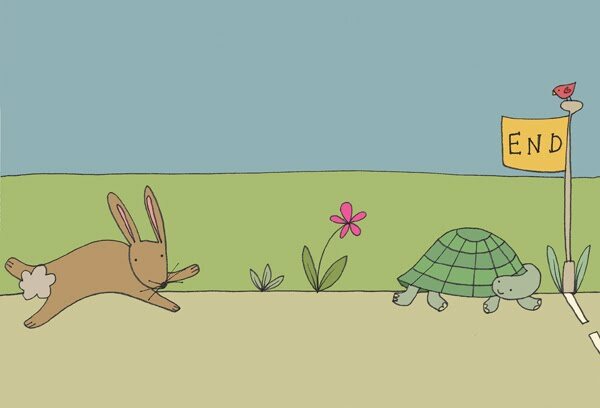 The old hare and tortoise story was the first thing that came to mind, but I've just realised a London Marathon theme would have been more fitting. I don't think either of these animals has just done 26 miles!! Great! I had the same idea in mine! Different approach...but the tortoise and the hare came to mind for me as well.